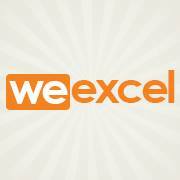 As our name says it all "We Excel" in our field of Web development. Our impeccable software services are very effective and result oriented. We as a team extend our software solutions to our clients in the areas of Offshore Web Development, Mobile development, Application-development, E-commerce Development, Web designing and Internet Marketing.